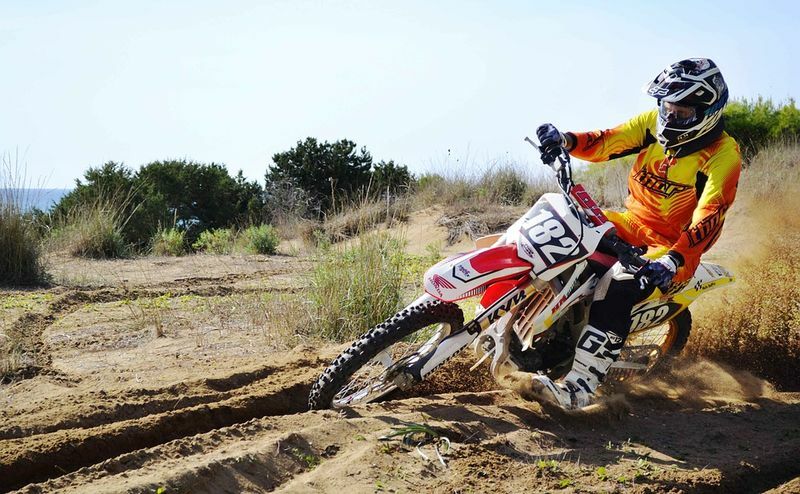 In this article wer’re taking a closer look at the F5 Koroyd helmet from Klim. So for those of you familiar with Klim, they come out of Idaho and are definitely known for making very high quality, very technical gear and that really does show in the F5 Koroyd. The biggest feature about this that I want to point out right off the bat is you're getting the Koroyd material inside, in conjunction with the EPS liner. This is the first helmet that I have seen using Koroyd and what's great about this material is that it's super lightweight and does a great job of absorbing impact. It also breathes extremely well so props to Klim for taking this newer technology and putting it into the helmet and we'll talk more about that in depth in just a bit. Before we get into some of the technical, that let's talk about fitment. With the F5 Koroyd make sure you are use the sizing guide on the product page that's going to tell you what size you will want. I've tried the helmet on I feel like it fits true to size and find it very comfortable with the Drylex comfort inner liner which is removable and it's washable. Something that I really noticed with the fitment that stood out to me is when I put it on, I feel like the cheek pads really kind of wrapped around underneath my jaw and it gave a nice snug fit to the helmet. It wasn't too tight I kind of like the way it fit the contour of my face. When we talking about the construction of the Klim F5 MX helmet, you got multiple shell sizes that's going to give a better fit depending on the size of the riders. The shell is full carbon fiber and this helps to keep the helmet lightweight and very rigid. The carbon fiber also does a great job of absorbing impact. One thing I really like about this helmet is the weight. In fact I went and weighed the size Large myself which comes in at 3.07 pounds which is EXTREMELY light. That is the lightest size large helmet that I've ever weighed. So if you're looking for a helmet that's lightweight and that’s going to be very breathable - this would be a helmet that you'd definitely want to consider. What I also quite like about the look of the shell is carbon fiber that you can actually see. The Klim F5 helmet Koroyd helmet is both DOT and ECE certified. A small watch out if you looking at the non Koroyd version – this is only ECE certified. So overall, I'd say it’s a pretty unique shell design coming from Klim with a nice aggressive look to it. Now venting was a big emphasis that Klim put on this helmet. It has 18 intake vents and 8 exhaust vents. You’ll find intake vents along the mouth guard and couple more down along the chin bar, as well as underneath the visor above the eye port you have these massive intakes. On the top of the helmet you actually have these long grooved ports which vent into your EPS liner, which is the green Koroyd material you can see through the top vents which I’ll talk about in just a bit. But what I like about these channels on the top of the helmet is they go directly to the EPS liner, straight to the riders head. So Klim wanted to make sure that even when you're riding at slower speeds that this helmet could still get rid of that hot air. They did some wind tunnel testing to make sure that this helmet is gonna be aerodynamic so you're not gonna go out buffeting. On the back you have those exhaust vents on the top and along the crown of the head as well a few more down along the bottom as well. So overall venting I think Klim nailed it with this helmet. The visor is adjustable, you've got one screw on each side including a screw underneath, like you would typically see. What I do like though is that the visor does sit flush with the top of the helmet, so I think it gives a nice sleek look. The Eye Port is nice and large. I really don't see any issues as far as fitment goes with any pair of goggles, so props to Klim for leaving that nice and open. Now let’s take a look on the inside because that's honestly where all the features are gonna be packed into this helmet. Starting with the chinstrap, first thing I want to point out is they have what they call their FID chinstrap. So this is actually pretty cool, you have this red tab which is magnetic to undo the chinstrap. All you have to do is just pull on this red tab and that allows the chinstrap to open up. When you go to shut it, all you got to do is just let it magnetically snap in. This magnetic feature makes it super easy to put on and take off. A lot of riders might be concerned with if that is gonna hold up if you do have a crash. I tested this, although not with a crash, but I can pull on it, honestly, as hard as I can, and it's not going to break free. But when it's time to release, just pull the tab out to the side and it comes off nice and easy. And trust me for this helmet to be DOT and ECE certified they've got to test that chinstrap as well, so you got nothing to worry about there. So you've got that Drylex comfort liner on the inside, this sits underneath the cheak pads, which as I mentioned, kind of wrap around underneath the riders jaw, so I'm a big fan of that. After removing those, you get your comfort liner, which is basically the part that sits flush with the top of your head. What I like about this comfort liner is just how many cutouts they have included to help with breathing. Underneath the comfort liner you’ll notice right off the bat, you've got the MIPS liner system built into this helmet as well. We're starting to see MIPS in a lot of helmets nowadays. MIPS stands for Multi-directional Impact Protection System and what the MIPS liner system does - it creates a slip zone inside the helmet. Remember not all crashes are straight up and down you're gonna be moving front to back or side to side so that MIPS liner system will essentially just allow the riders head to rotate just enough inside the helmet to help disperse a lot of that energy. It's very popular and you can see on a lot of premium helmets using it. Underneath that you're going to find your dual multi density EPS liner. The EPS liner which stands for Expanded Polystyrene is what we see in just about all helmets. But you can also see a lot of different cutouts and a lot of channels in the Klim F5 helmet. All those channels are designed to help move as much air throughout the helmet and get it out the back. Now underneath that MIPS liner system you're gonna see the next big feature which I mentioned earlier. That is Koroyd material. So Koroyd is is actually a new material created by thermally welding miniature tubes together to form a whole that crushes on impact, absorbing energy in a measurable, effective way. There's hundreds of these small tubes in there and Koroyd is known for being super lightweight and it breathes extremely well, but also it absorbs impact incredibly well. In fact, the makers of Koroyd say that it actually absorbs up to 48 percent more impact than your traditional EPS liner so that's a big statement but that's really cool. So you will see that the way Klim has utilized it inside the helmet by actually cutting out a lot of the EPS liner. So it runs from the top of the helmet by the crown of the head, all the way around to the back. So they're doing that to keep the helmet lightweight, help it breathe better and also absorb as much energy as possible. Still a really good helmet at a much lower price. However, this lacks features such as the MIPS technology as well as the new Koroyd material. Other points to mention is that this version of the helmet is not DOT rated, only ECE certified.The other thing to note is the difference in weight. A DOT helmet requires a thicker shell, which means the non DOT version weighs in at even less than the Koroyd version at 2.6 pounds or 1.2KG. Lastly what I like to mention is at this price point you're making a big investment and so Klim do include some extra goodies that come with this helmet. If you're gonna be doing any riding in cold weather, Klim include a breath box and they also have this gore-tex wind stopper liner, so if you don't want to get the airflow coming through the helmet you actually take this liner and put it between the EPS and that Koroyd inner comfort liner and that's gonna help block the wind which is really going to make a big difference if you are riding in colder weather. 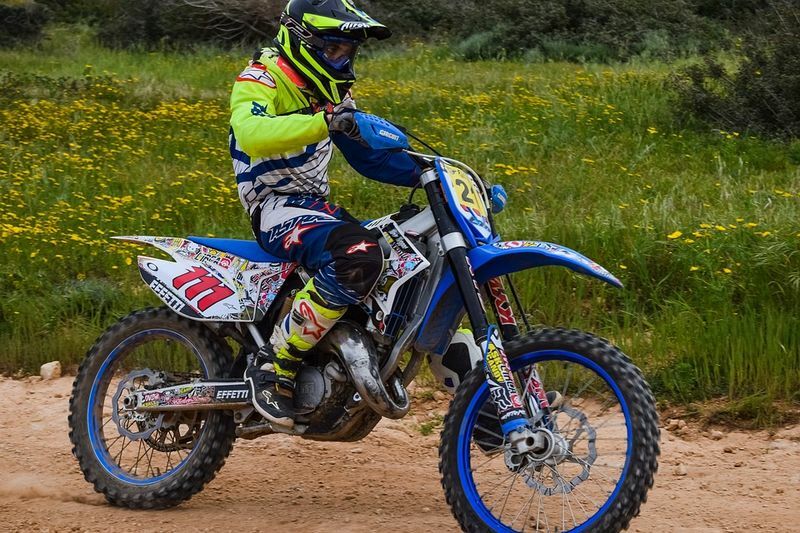 Klim do also include an extra advisor as well – which is always nice. So that’s it for the Klim F5 helmet review. A lot of technology and a lot of cool features that are built into this Klim F5 helmet. Plenty of venting with lots of intake and a great exhaust system, along with that carbon fiber shell and new Koroyd technology helping to make this one of the safest and super lightweight helmets on the market. If you guys have any other questions about this helmet leave your comments, and I’ll do my best to get the answered. 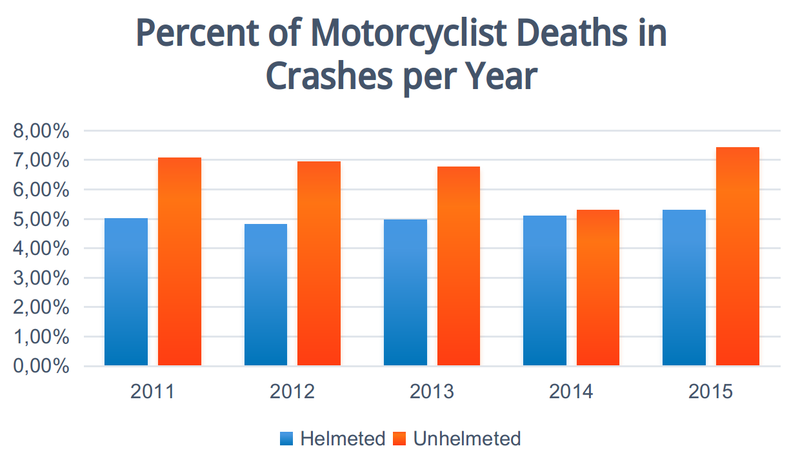 According to the NHTSA, 802 US lives could have been saved in 2015 if motorcyclists wore their helmets, yet helmets are still not mandatory. Read more here. DOT-approved, SNELL ratings, Sharp, ECE standard.. what do these terms mean? 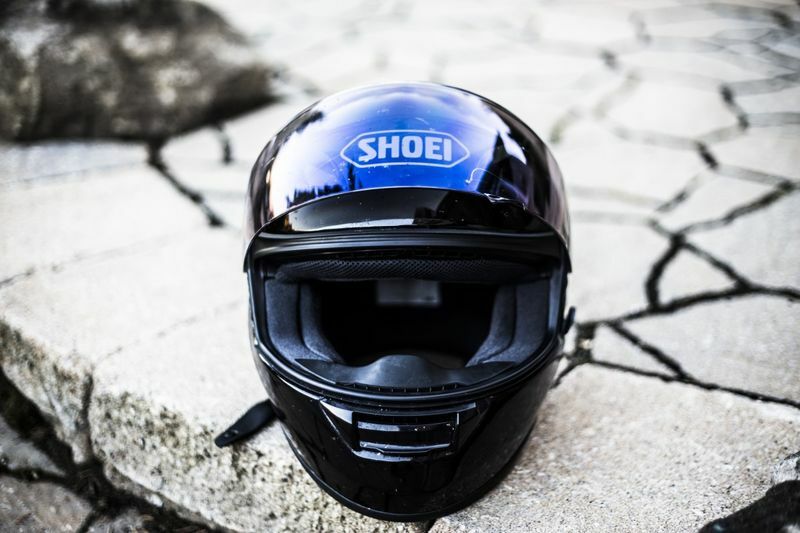 Check this in-depth guide to motorcycle helmet safety standards. 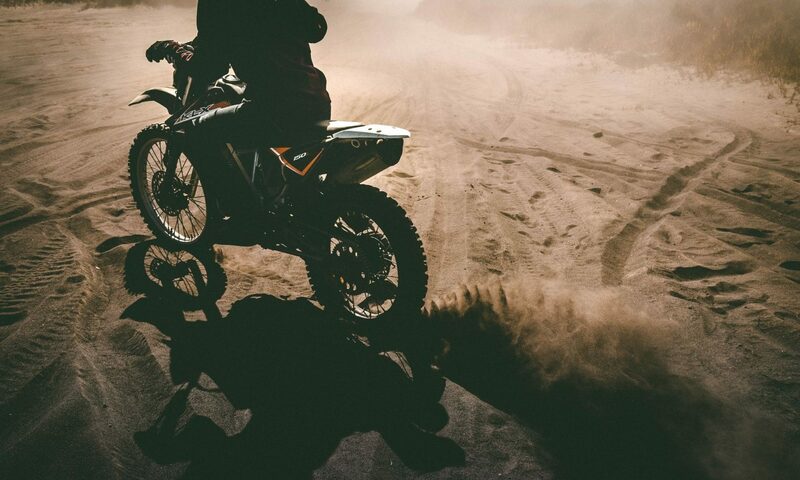 Are Motocross Tires Legal for Everyday Road Use? 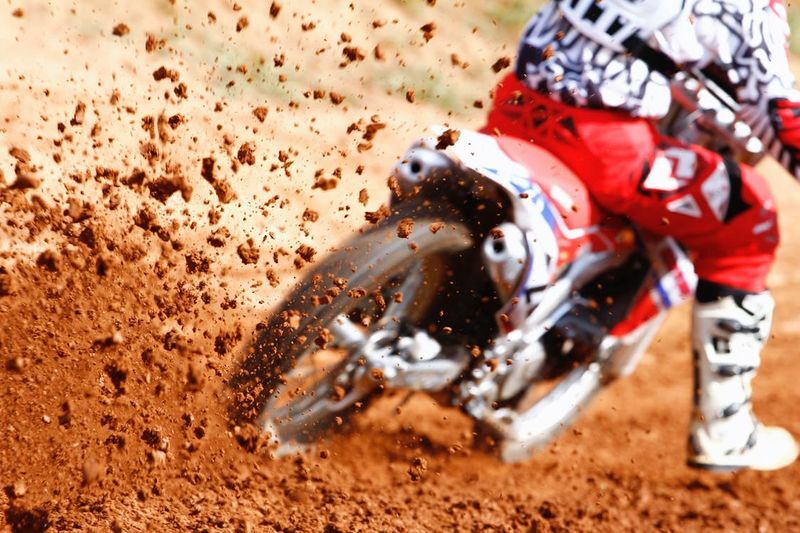 Motocross tires are for track use and are not always DOT-approved. 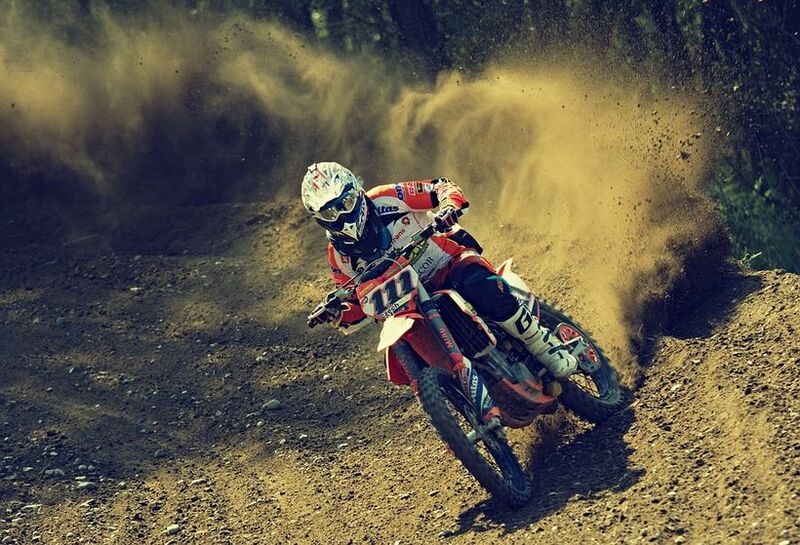 Dirt bike tires, with DOT stamped on the sidewalls, are for both on- and off-road use. 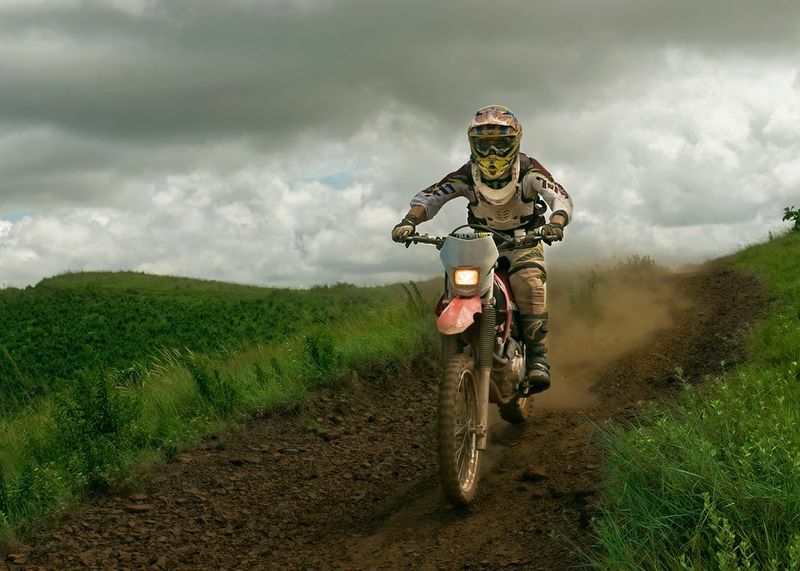 Are Motocross Helmets Road Legal? Riding With A Kidney Belt - Are They Really Needed? The Answer is "Yes". If you don't want to end up with problems peeing in your later life. This piece of gear is one of the most underrated.